Samantha Saliba is one step closer to achieving her dream career, having just received her Certificate 3 in Early Childhood Education and Care. 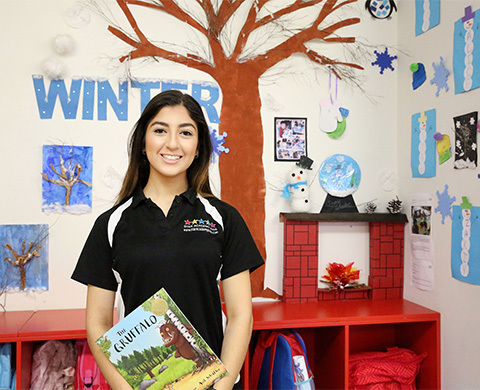 The Year 12 student completed this as part of the College’s School-Based Traineeship Program which has seen Samantha simultaneously gain her qualification, continue with her HSC studies and gain industry experience at Star Academy Kids Learning Centre. “I have always loved childcare and one day hope to own a family day care business,” said Samantha. The balancing act has had its challenges, but the rewards have been well worth it. “Early completion of the course has also allowed Samantha more time to focus on her other HSC subjects. “I feel less pressure with my other classes as I now have more time to focus on these,” said Samantha.